It seems pretty clear the pedestrian desreves at least a goodly proportion of the blame for the crash. Her behaviour was collectively the sort which invites problems. Deactivating the emergency braking on the Uber car seems like a very bad idea as well. I don't see the point of disabling a safety mechanism designed to prevent exactly such a problem from occurring. If it really was to prevent the car from operating erratically while the automatic braking system is on then the system is clearly not up to snuff and needs to be fixed before it can be deployed. Me? I am a horribly cynical person. I would want third-party confirmation that the pedestrian was a drug abuser. And that she was intoxicated at the time of the accident. And if this was a route that she took regularly, with no preceding events. So that she felt safe to cross the street at that corner. To continue, it sounds to me that the driver is being set up to share the blame with the victim. The senile-buffoon reactionaries on the Supreme Court have foisted the delusion that Corporations are individual entities deserving of civil rights (but no civic responsibilities). Then Uber must be held to the same standard of liability for criminal negligence, as if you or I were to commit this deed. Several people, employed by Uber had to have agreed to disable the safety program and then pulled the plug. Sounds like accessories to me. 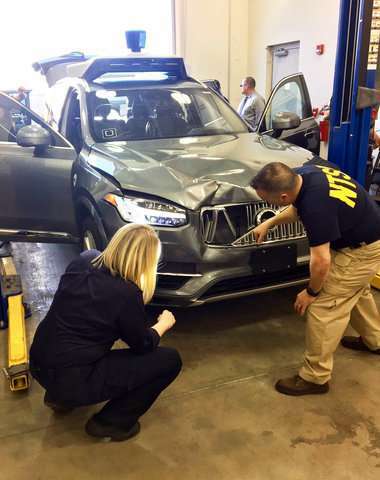 Finally, Uber hiring ex-NTSB Chairman Hart as a safety advisor? Smacks of buying influence. "Fish rots from the head, down!" I could never trust an auto-pilot that expected me to jump in at any time to take over if it makes a mistake. If the car isnt completely self driving then Id rather just do it myself. Let me know when you have one that will let me just take a nap till we arrive at the destination. Although we clearly have quite a long way to go before this happens, I have no doubt that the AIs that drive self-drive cars will eventually become so reliable that they would become safer drivers than even the most competent human driver. When that eventually happens, I bet it would then eventually become law that all cars be completely self-drive in order to reduce the incidence of horrible car accidents. Then nobody will need a driving licence to use a car; all you need to do is get into your car and tell it where you want to go. I presume all buses, tractors, lorries, trains, passenger aircraft and space shuttles will also eventually be completely self-drive. Presumably the safety driver had during his stint in front the wheel had stopped this car several times in the course of his journey – He knew it had no automatic brakes! This just about takes the biscuit; all that has been said about this car increases the impression of insanity of the programmer and the safety driver. What is the point of disabling the brakes in a driverless car with no alarm when car detects an imminent accident to alert the driver? You are driving a conventional car with a steering wheel, accelerator and brakes! Be Aware, very aware – driverless cars have disabled brakes! she was going to be hit regardless of who was driving. human reactions aren't that good. The driver was daydreaming driver without due care. Kruleworlder> "1.3 seconds before impact" she was going to be hit regardless of who was driving. human reactions aren't that good. The driver was acting as a safety driver, 1.3 seconds does not give him enough reaction time but 1.3seconds gives a driverless car reaction time, if the brakes had not been disabled that 1.3seconds would have been included in the Total time the automated braking system would have been stopping the car and she would be still here today. The driver Kruleworlder was totally at fault for not driving with due care and attention. But Kruleworlder, it was not 1.3seconds the car saw the accident before the driver, he disabled the brakes, the automation would have stopped this car, consequently the car was totally in the hands of the safety driver who was daydreaming, not driving the car. Kruleworlder this accident happened because the driver disabled the automated brakes - instantly he was driving a conventional car. The fatal mistake he made was continuing to assume he was in a driverless car which he knew with 100% certainty he patently was not! And yet you probably have no problem getting on an airplane - where the autopilot is exactly the same (i.e. an assistance tool that needs constant monitoring and stepping in when something goes awry). she was going to be hit regardless of who was driving. These systems will fail in unexpected ways. So we're adding the reaction time of the human to the time needed for the human to register that the automatics aren't cutting in. That does not seem like a promising combination. I notice that all the other commentators are trying to foist all of the blame off onto the driver. And none of you dare to comment against the company management or their technical team. All of whom participated in the decision and activity of disabling the auto-brake system. Simultaneous with disabling the warning function. Perhaps I should ask how many of you are holding Uber stock? Terrific! Job security for a murder of lawyers for years to come. rrwillsj> I notice that all the other commentators are trying to foist all of the blame off onto the driver. And none of you dare to comment against the company management or their technical team. All of whom participated in the decision and activity of disabling the auto-brake system. Simultaneous with disabling the warning function. Because dear chap he was driving and he disabled the automated brakes and was driving without due care and attention and did not put the brakes on! HE WAS SUPPOSED TO BE DRIVING - YOU KNOW - EYES ON THE ROAD - HANDS ON THE WHEEL - FOOT ON THE LARGE PEDAL WHERE THE BRAKE IS FOR ALL OTHER DRIVERS - well it it is for all us other drivers rrwillsj. The automated brakes are disabled. No accident warning system and finaly to complete the true meaning of a driverless car THIS CAR WAS DRIVING BLIND WHEN THE PEDESTRIAN SAW HER DOOM THERE WAS WAS ABSOLOUTLY NO ONE AT THE STEERING WHEEL - NO ONE WAS DRIVING - A TRUE DRIVERLESS CAR! Automated cars when their systems are not disabled can stop preventing an accident. antialias_physorg> These systems will fail in unexpected ways. So we're adding the reaction time of the human to the time needed for the human to register that the automatics aren't cutting in. That does not seem like a promising combination. A little word in your shell like antialias_physorg - this cars automated systems did not fail, they were disabled, there is a distinction. This automated car driven with all it systems enabled would have prevented an accident. Automated cars driven with all their systems enabled can stop. gv5, what is your evidence of your accusation that the driver disabled the safety function? And who disabled the warning alarm? And what flunky would do so without being ordered to do so by their superiors? Did the driver even have access to those controls? And why do you feel so emotional about denying corporate responsibility and group decision making by the Uber management? rrwillsj> gv5, what is your evidence of your accusation that the driver disabled the safety function? And who disabled the warning alarm? To drive as a conventional car you disable the brakes temporally. Because the jerky braking is uncomfortable; however in town where pedestrians abound, as you know you touch any pedal, he did not touch the pedal till after he ran her down. A driverless car allows disabling the brakes for highway driving at the moment because of jerky braking. The rules will change now! So why is this conversation is even taking place as this is a question for the manufacturer's rrwillsj. Think on it rrwillsj, it has to be the driver, who else's it there to reactivates the brakes in 1.3 seconds! rrwillsj:- If every time the car applied its brakes it had a brake alarm siren, I think you would agree; you would be out your tiny mind and at your wits end before you got down the end of the street and you would get out your car and just like Basil Faulty; you would give it "a good thrashing"! Still no explanation for the management decisions that led to this tragedy. I fail to understand why you are all so frighten of confronting these core issues? Better the driver be thrown under the bus as the scapegoat. Than any corporate bureaucrat be distressed with tiresome responsibility for their decisions? The driver has to have full control of brakes because the automated brakes our only their in emergency breaking rrwillsj. The driver had full control of brakes, he chose to use them after the accident because he had to stop or that would be a hit run, the management cannot be held responsible when one of their employees is doing what he is paid to do which is driving rrwillsj. If he has accident he has company insurance and if it has to go to court he gets his legal expenses paid, the management cannot be fairer than that. 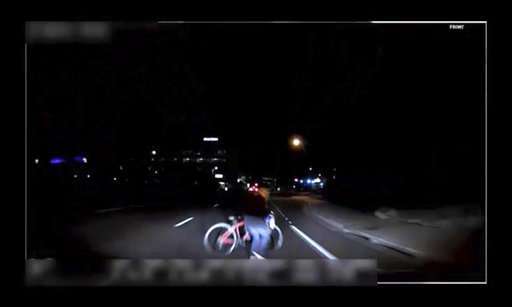 Ask yourself this rrwillsj: why is the car that runs the pedestrian down, a driverless car when all the other conventional cars avoided the accident! Welcome to the world of driverless cars rrwillsj, expect more of the same! A committee of Uber executives and technical managers, ordered the instructions to the drivers. Of how they were to operate the vehicles during testing of the automated systems. None saw fit to dissuade the implementation of those orders. None will take responsibility for giving those orders. Them poor, beleaguered administrators. How could anyone but feel sorry for the poor dears. How unfair it will be to subject those sensitive souls to the uncaring glare of public censure. I guess your right otto. We have to protect the precious creatures from any liability for their actions. Cause if they ever had to take the blame? What would be the point of even being in management? Driverless cars with safety drivers take longer to stop! Whatever world you appear to be dabbling in rrwillsj, driverless cars do not spring on you one morning when you walk into work with a scrap of paper with written instruction how to drive the new driverless cars fresh in this morning! They're training safety drivers to prejudge whether the car is going to stop so the cars safety features can be disabled to bring the car to a safe controlled stop to avoid an accident. Unfortunately this eats into the 1.3 second reaction time, resulting in more accidents! But it is a price we have to pay for safer cars! As the management has learnt to their cost! Effectively this is whats happened, the safety driver has prejudged the car was not going to stop, It took him 1.3 seconds to put his foot on the brake which is why he did not start braking till after the accident! And before you get all uppity rrwillsj and say he was daydreaming, it is an unavoidable consequence of being a safety driver rrwillsj. You have to fully commit to driving or not at all. Nothing else will do, as all decisions are made in a split second! 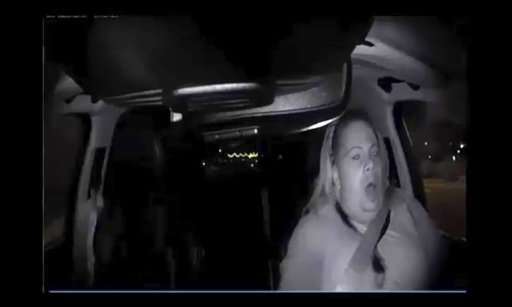 Perhaps dashcam scam gone wrong? -I'm guessing that AI car companies will be especially vulnerable to fraud, assault, and vandalism for some time to come. Other vehicles trying to hit them, run them off the road, etc. This should prompt the automatic reporting of infractions directly to the police, including those where the AI car is not directly involved like speeding, tailgating, etc. Finally - a way to make tailgaters pay. I'm tired of replacing my brakes. TheGhostofOtto1923> This should prompt the automatic reporting of infractions directly to the police, including those where the AI car is not directly involved like speeding, tailgating, etc. The insurance days are over – this car cannot stop and every detail is recorded on camera! I am not buying your fairytales about the innocent ignorance of uber administrators. I am strongly believing in my prior guess. That the lot of you are pumping uber stock. Desperately trying to shore the market up so you can avoid admitting what gullible fools you had been when you let shills talk into buying shares in uber. rrwillsj:- Either we are not ready technically, or Uber administrators think this a game and have been caught out. It is a deadly game. Or that Otto has nailed a pre-existing problem where she thought the car would stop like all the other cars. Are you not reading all these comments rrwillsj, this is not some share holder conspiracy! There is a possibility she was hunting greenbacks.